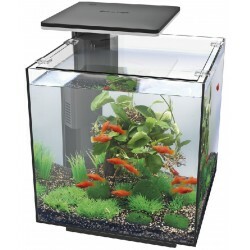 This is a modern 30L Nano Cube with integrated filter. 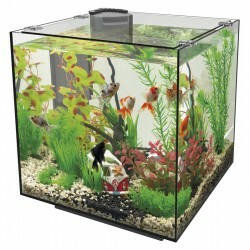 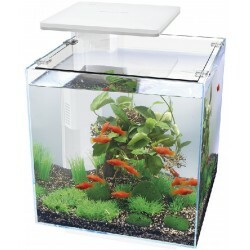 The filter compartment offers room for a hidden heater (not included).The quality of these small cubes is excellent and in line with Superfish's popular "Home range" of aquariums. 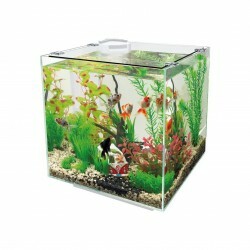 This specific model comes with a 5W LED Light. 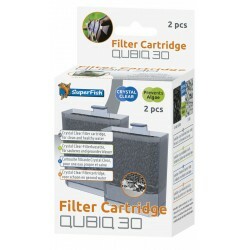 If you would like to use a different lighting solution, we sell the base model QubiQ 30 as well, which only comes with filter.